Moontower Comedy Festival. Courtesy of Jack Plunkett. This is one of those Austin events you won&apos;t want to miss. 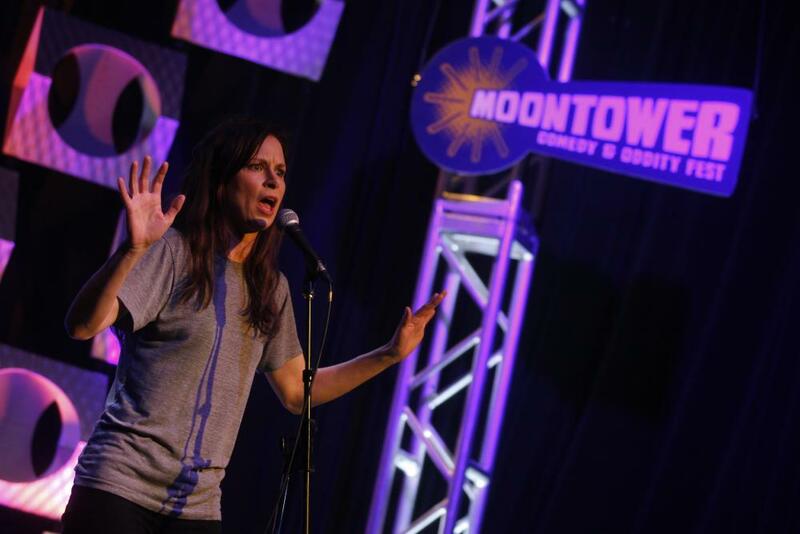 The Moontower Comedy Festival is a four-day extravaganza each April, boasting an all-star lineup of more than 100 comedians from across the globe. Presented by the Paramount Theatre, this comedy festival offers humor for every type of fan, as national headliners, up-and-coming comics and local laughsters unleash hilarious wit in the form of musical comedy, stand-up, sketch and improv. Past performers include the likes of Maya Rudolph, Martin Short, Tig Notaro, David Cross and many more. For an improv comedy club that promises a rollicking good time, plan an evening at The Hideout Theatre, where sharp-witted performers spin spontaneous jokes and plot lines with astounding ease, as they make up all their comedy, plays and sketches on the spot. For a sidesplitting show, don&apos;t miss What&apos;s the Story, Steve? at ColdTowne. The improvised, interactive story theater is kid-friendly and audience members are invited to participate or just sit back and enjoy. Fallout Theater brings veteran performers and talented rookies to the local improv scene. Attend their weekly Basement Brawl comedy competition or take an improv class. Struggling with a weekday slump? Order a pick-me-up with the Good Fight, a high-energy improv comedy show every Wednesday. It&apos;s BYOB! Enjoy stand-up at The North Door, one of the largest independently owned live music venues in East Austin, or creative sketch comedy at legendary Spider House Cafe & Ballroom.